Sir Frederick Banting’s only known painting of the lab where he discovered insulin was sold at auction Wednesday for ten times its expected value. And fittingly, a portion of the sale price will go toward funding advances in diabetes research at the University of Toronto – just down the street from where the world-changing discovery was made almost a century ago. Banting created the painting, called simply The Lab, in 1925. Although an accomplished painter of landscapes, he rarely chose his scientific work as a subject. Twenty bidders competed for the historic work, including U of T, but a determined mystery buyer outbid the university in the end, paying $313,250 for the artwork over the telephone. 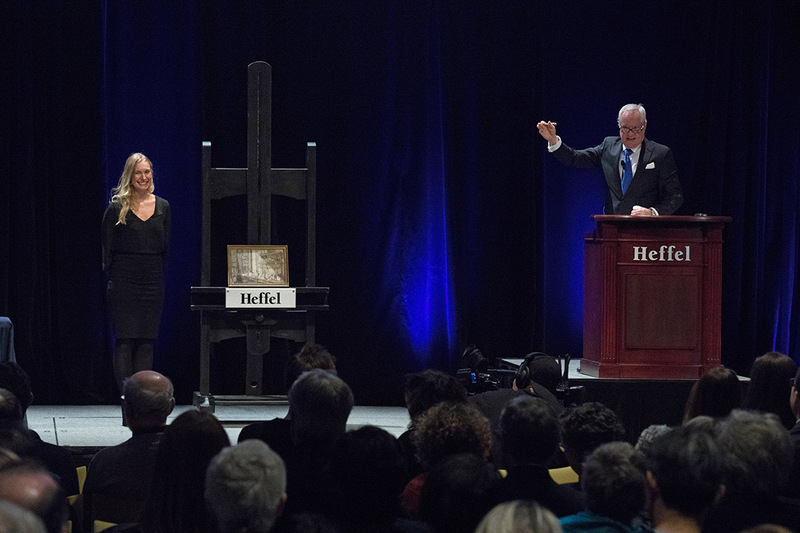 To honour the painting’s subject and Banting’s legacy, Heffel Fine Art Auction House has pledged its commission of $53,250 to diabetes research at U of T.
Several philanthropists had pledged to help U of T buy the painting so that it could be part of the upcoming centennial anniversary of the discovery of insulin. But the eventual winner appeared very determined to acquire the painting, said Professor Scott Mabury, U of T’s vice-president, university operations and vice-provost, academic operations. The donation will further Banting’s legacy at U of T, where diabetes researchers like Maria Cristina Nostro are using techniques nobody could have envisioned in the early 20th century to create a goal that seems futuristic even today. Toronto is home to robust research communities in both diabetes and stem cell research. Nostro straddles both fields in her quest to regenerate the pancreas, or at least its function. She is part of a worldwide cohort of scientists engineering stem cells to cure type 1 diabetes. A native of Italy, Nostro was completing a post-doctoral fellowship in New York, studying stem-cell biology, when her supervisor, Professor Gordon Keller, was recruited to Toronto to lead the McEwen Centre for Regenerative Medicine. She soon found herself in the city where both insulin and stem cells were discovered. People with type 1 diabetes lack pancreatic beta cells, which play the crucial role of detecting sugar in the blood and signalling for the release of insulin. In the early 2000s, diabetes researchers first began experimenting with embryonic stem cells, which can potentially be turned into the cells associated with any organ. So far, scientists have used stem cells to create “immature” beta cells, which aren’t fully functional – but become more functional when placed in an animal’s body. As a result of this success, the first human trials with stem-cell derived pancreatic cells are now being conducted. With human trials, there will be a need for more, and better functioning, pancreatic cells. Nostro and her team have made a major contribution to the process of creating them. Nostro is optimistic about improving treatment for type 1 diabetes in her lifetime.